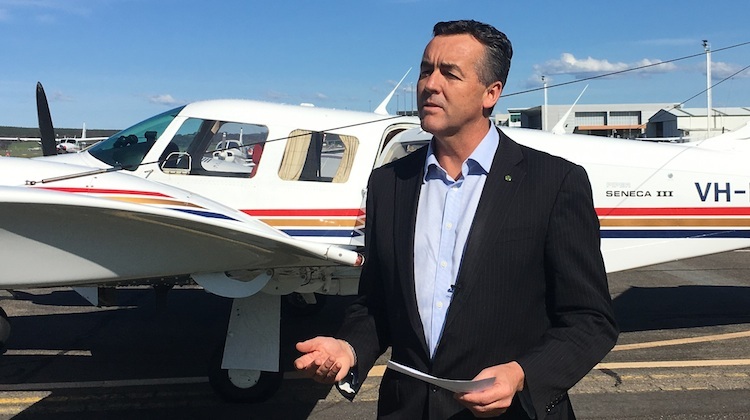 Federal Minister for Infrastructure and Transport Darren Chester says the outcomes of separate reviews into the general aviation (GA) sector and use of remotely piloted aircraft systems (RPAS) are expected to be known before the end of 2017. The Minister outlined the timetable for the two reviews at the biennial aviation safety conference Safeskies in Canberra on Wednesday. “I expect to release the GA study report before the end of the year,” Chester said in prepared remarks. In October 2016, the federal government announced what it termed as a major study into the general aviation (GA) sector in response to the concerns expressed by industry. It was conducted by the Bureau of Infrastructure and Regional Economics (BITRE) and completed on June 30 2017, according to the Department’s website. The Minister has also established a 12-person GA advisory group comprising members from a cross-section of industry, chaired by Royal Flying Doctor Service chief executive Martin Laverty. “The group is working on their strategic advice as input into the GA study and have come with a positive and constructive approach to tackling the issues facing GA,” Chester said at Safeskies. Meanwhile, submissions for public comment into the Civil Aviation Safety Authority’s (CASA) discussion paper into commercial and recreational operations of RPAS, or drones, closed on September 29. The discussion paper, published in August, noted there were about 50,000 drones used in this country currently, mostly for sport and recreational purposes. Chester said drones were a rapidly growing technology that had the potential to “improve productivity, reduce costs and improve workplace safety” in areas such as agriculture, mining, search and rescue, fire and policing, aerial mapping and scientific research. “The government is committed to fostering an environment that ensures the safety of drone operators and of other people and property, while facilitating the business opportunities for this sector,” Chester said. I’d just like to pose the question, with all the recent issues with drones flying into or near controlled airspace (particularly near Sydney airport), and that is should they be fitted with an ADS-B out capability?